It’s that time of year again – AWARDS SEASON !! Support your local sailing community by attending the Annual Tropical Awards Banquet – Nov 5th – at Portland Yacht Club. Enjoy dinner, cheer on your favorite crew, try your luck with the raffle, and imbibe with some other salty sailors. Early registration is encouraged by Oct 27th. After that, price goes up by $10.00. We hope to see you there. Contact Portland Yacht Club to register. 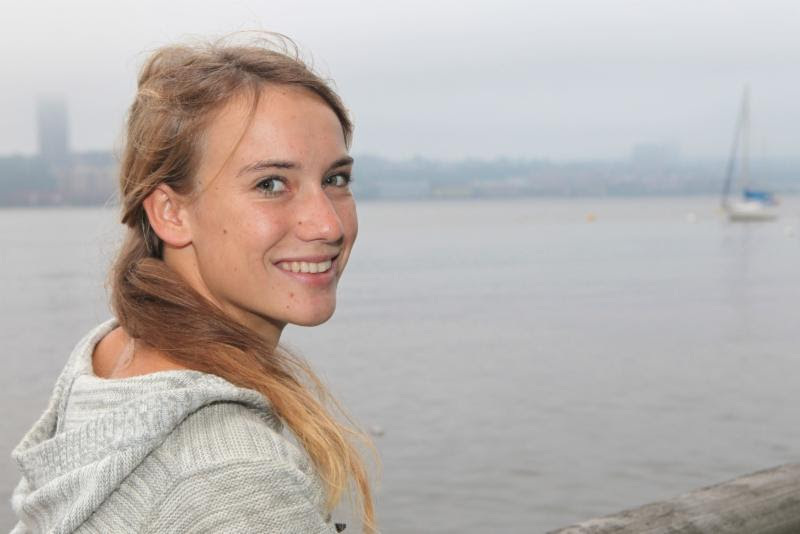 Laura Dekker is a Dutch sailor who became the youngest person to circumnavigate the globe single-handed. Successfully completing her solo mission at the age of 16. Join us for a taco dinner buffet and enjoy listening to Laura’s amazing story! It’s that time again – the ANNUAL PREMIER SUMMER SOCIAL EVENT for Cal 20 owners, families and friends. It’s a weekend to relax and enjoy the summer . Several Board Members are planning to attend, and we hope to see many of our Fleet members as well. Some folks will arrive on Friday and others on Saturday, to spend the day or the weekend. Keep in mind the trip up river can take several hours. Friday night dinner is potluck, as are breakfasts. Bring food for your personal use and something to contribute to the shared meals … rolls, salads, side dishes, desserts, etc. We’ll eat anything !! Bring snacks and beverages for “happy hour” – which can sometimes go on for hours. Saturday dinner will be provided by the Fleet – steak, chicken, baked potatoes and fixins’. There will also be a couple cases of our recently-brewed Cal 20 Ale. You’ll want to have a dock chair. Small portable tables are useful. Canopies for sun shade are most welcome. There will likely be a game of beach golf – and water toys are always fun. In recent years we have held this event on the dock near our boats, in which case we need a portable BBQ for group use on the dock … including cooking pans, utensils, etc. There is NO source of fresh water on the island. Bring a cooler, water, and ice if possible. Bring your own paper goods, dishes, utensils, trash bags, etc. Big boats attending will have the ability to make coffee, boil water, etc. Join us for this GREAT annual summer event and make some memories with the Portland Cal 20 Fleet. Sign up at SailPDX.org before 5:00 PM Friday. The Cal 20 Fleet is promoting this Regatta as a “counter” for our annual participation awards. CALEB BORCHERS will discuss crew communication, team building, consistency, sailing tips, etc. Caleb is an experienced local sailor; a good public speaker and motivator. Lunch will be provided. We will need head count. The Cal 20 Fleet is responsible for providing the Race Committee for the SYSCO evening race on Tuesday, May 3. Fred Hazzard will be the acting RACE PRO, and FURY will be the committee boat. FLEET MEMBERS need to step up and help in this process. It’s time to “give back” to the Fleet that supports its members throughout the year. The race committee will meet at 5:00 PM Tuesday at Portland Yacht Club. We need 5-6 people on Fury and 1 person to ride along on Pancho to help set marks, etc. Nothing is hard, you will be given instructions. Spend an evening on the river. Food and beverages will be provided.